Butterfly Reflections, Ink. : Absolutely Fabulous Rose Gold Embossing Paste! Absolutely Fabulous Rose Gold Embossing Paste! Happy Hump Day! Kimberly here, and today I have a card to share that uses no stamps....zip, zero, nada! Now let me tell you.....that is a rare thing in my craft room, lol!! I started with a piece of black cardstock and spread the Rose Gold Glitter Paste over top of the stencil. The glitter adds such a wow factor when used on dark cardstock!! I tried it out on white as well and it's equally amazing. Since the background was so fabulous (ha ha!! ), I wanted to keep the rest of the card simple, so I die cut the 'Absolutely' from raspberry cardstock and after adding some Glossy Accents to the letters, I mounted it to a black strip and adhered it to the center of my card. 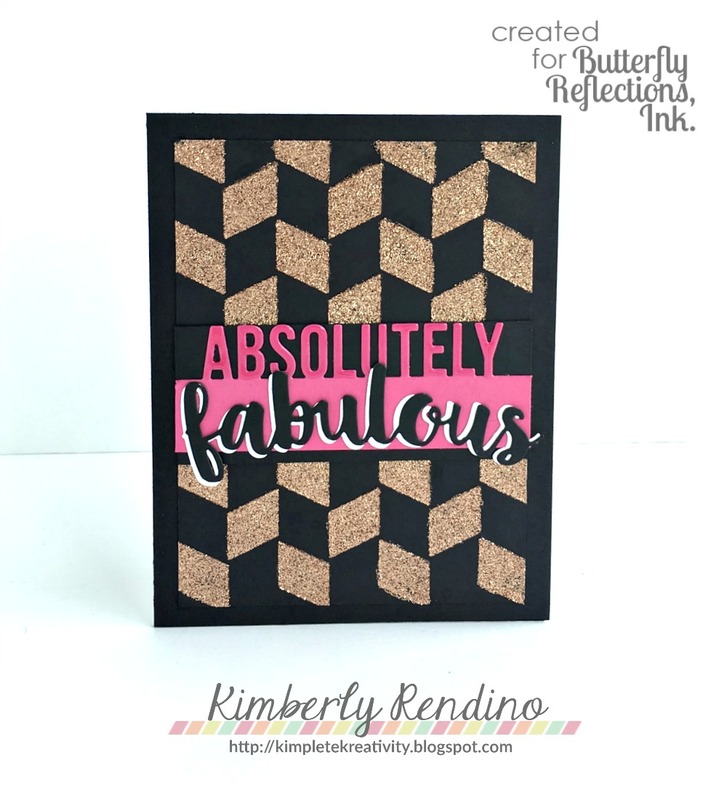 To make the 'fabulous' word die stand out, I die cut it from both black and white cardstock and offset it just a touch for a nice shadow effect.